A solid aluminum frame, with extension legs, the CED Mini Tripod is the ideal companion for the on-the-move photographer or hobbyist. Compact at 5.5" folded (14cm) and weighing only 4 oz. (110g), this mighty mini extends from 4.75"(12cm) to 6.5"(16cm). A fully adjustable camera threaded head makes positioning any camera a simple breeze. Place the CED Mini Tripod anywhere that has 5" of flat surface and you are ready to shoot! 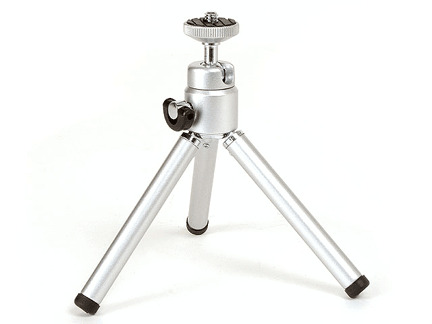 The CED mini Tripod is included with the purchase of the CED2000 External Horn Set, or can be purchased here separately.